I understand how important Black Friday deals for WordPress fanatics and so we bring you the post "WordPress Black Friday Deals & Cyber Monday" which truly shares deals on hosting, themes & plugins which are worth buying in 2018. WordPress hosting needs no further introduction and has certainly played a huge role in providing the search engines with a consistent flow of relevant contents for their traffic. Literally, every WordPress hosting deal is something a lot of people are keeping their eyes on and perhaps, it’s one hell of a deal to be able to buy a WordPress hosting at a discount. Let's have a look into some of the best WordPress Black Friday deals on Hosting. WP Engine is probably the first name that comes to your mind when you think of WordPress hosting. What really encouraged an increasing number of people to host their websites and convey their ideas on the World Wide Web is the fact that with WordPress, one can easily manage one’s content without much depending on others as it has finally, made content management possible without the need of coding. This Black Friday, things are going to absolutely spellbinding as WP Engine Black Friday offers up to $600 OFF on all WordPress hosting plans. However, the offer is valid from November 22 only. 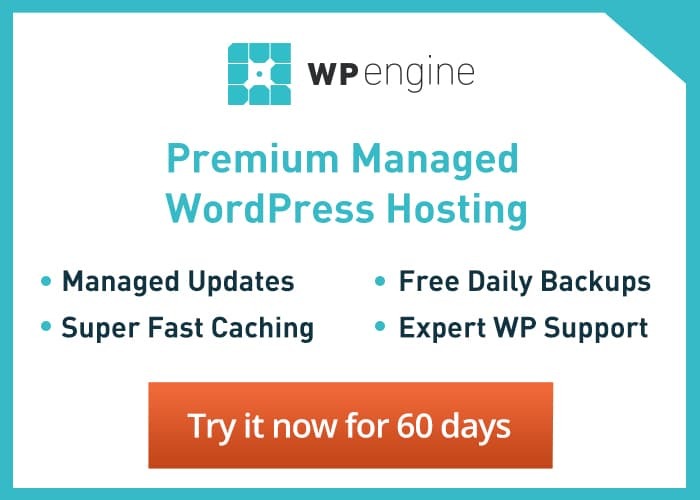 Offer: Save up to $600 off your first month with WP Engine! Restrictions: Offer valid for new customers only. Not valid for existing customers, upgrades, or any other product purchase. WPX Hosting gets wide recognization thanks to the flexible plans focused on customers. WPX Hosting offers SSD hosting that comes with 24x7 customer support and data centers in both US & UK. Deal 1: 95% OFF the first month on ALL hosting plans for NEW customers. Deal 2: Three months for FREE on annual subscriptions across allhosting plans and all customers. Liquid Web’s offering 33% off on managed WordPress hosting for the first 3 months. Isn’t that amazing? It certainly is which is why to hurry up and grab it before it comes to end. It is a limited offer. Click here to activate the offer. Liquid Web Black Friday/ Cyber Week Managed Dedicated Server Special. Save 50% for 3 Months on upgraded Dedicated Server products! Starting at $149/mo! Themes play a massive role in the overall optimization of a website. WP Themes certainly stand first in line when it comes to themes. In fact, there are a lot of reasons including the exceptional framework which help WP Themes stand the rest of the themes. Most importantly, you can always expect an incredibly fast page loading with WP Themes. So, finally, when there are several upcoming offers pertaining to WP Themes, isn’t it difficult to resist? The StudioPress themes are not only exceptionally beautiful but they provide websites with every possible way to optimization. The Genesis framework is considered to be the best in terms of accentuated security levels as well as customization options. Most importantly, most of the StudioPress themes are pretty light and this eventually helps pages load really fast. Are you wondering as to what StudioPress is offering on this Black Friday? 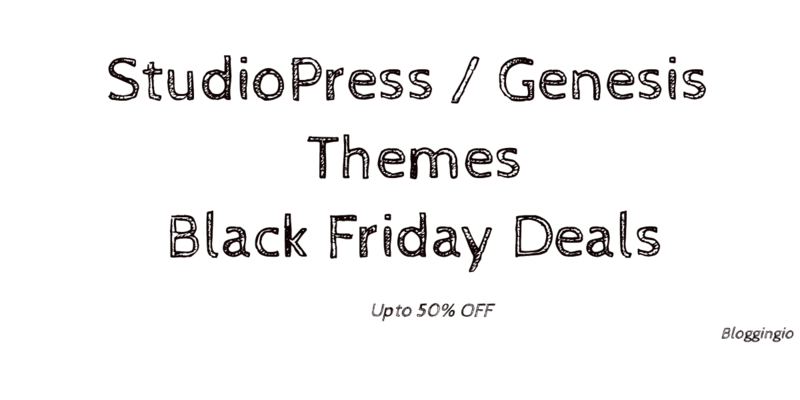 This black Friday, StudioPress is offering 25% discount on all the themes which is certainly a pretty big deal for many of us. So, waste no more time and grab the offer right away before it comes to an end. Click here to activate the deal. Literally, you can add wings of optimization to your website with the MyThemeShop theme and the reason I say this because these themes have exceptionally clean codes which make them incredibly lightweight which eventually helps your website with accelerated page loading. Besides, the themes are pretty stunning and can pull the attention of the traffic to a really large extent. Also, these themes are Adsense optimized which means they have the best places to put Adsense ads to earn good CTR. So, obviously, a lot of people would certainly want to have one of these themes for their websites and it surely can’t get any better than buying them at huge discount. This Black Friday, mythemeshop has come up with an excellent offer wherein you can buy any MyThemeShop’s premium WordPress theme for just $19. Hurry up and grab it fast. It is a limited offer. Click here it activate this deal. Thrive themes have the most dedicated WordPress themes for sure. It offers a wide range of themes for every single online activity you might need to host a website for. Most importantly, it offers a bag full of useful plugins that can massively accentuate the overall performance of your website. Bloggingio uses 7 products of Thrive Themes which includes Thrive FocusBlog themes, Thrive Leads, Thrive Ultimatum, Thrive Quiz Builder, Thrive Headline Optimizer, Thrive Clever Widgets and Thrive Architect. Also, it offers a huge scope for optimization as well as conversions. So, if you had been waiting to buy one of these Thrive themes for quite a long time, this is the perfect time to buy one. Enjoy 24% discount on all Thrive themes plans through the year. However, it is a limited time offer which is why grab it fast. Click here to activate the deal. The Elegant themes Black Friday are the most widely used themes all over the world. These themes are extremely SEO friendly as well as highly responsive. What is really impressive about these themes is the powerful framework. Also, they aren’t much expensive. The incredible Divi theme is popular all over the world and is believed to be the one of the most powerful themes for WordPress hosting. So, what’s the big deal Elegant Themes have coming up with on this Black Friday? In fact, it’s such an offer that would literally get you dancing for a while. This Black Friday, Elegant Themes is offering 25% off on all the membership plans. Isn’t that super exciting? Don’t just be excited but you had better grab the offer before it’s too late. It’s surely worth it. Once the deal is getting updated, we will update the post asap. You can watch out this " WordPress Black Friday Deals by Bloggingio"